When he trusted in an extraordinary God, George Müller discovered endless possibilities and helped thousands of people throughout his lifetime. 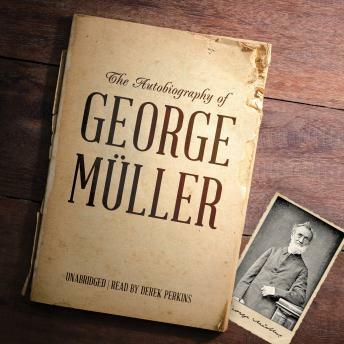 The Autobiography of George Müller is his inspiring journey, from his life of sin and rebellion to his eye-opening conversion to Christianity. Share his struggles and triumphs as he establishes orphan homes to care for thousands of children. Müller's unwavering dependence upon his heavenly Father will inspire listeners to confidently trust God in every area of life.